This school bag features 2 compartments: the large compartment is great for larger items such as text book, binders, laptops, etc., while smaller compartment located in front is perfect for cell phones, keys, hand sanitizer and more. There are 2 zipper pulls for the large compartment, and 1 zipper pull for the smaller compartment. 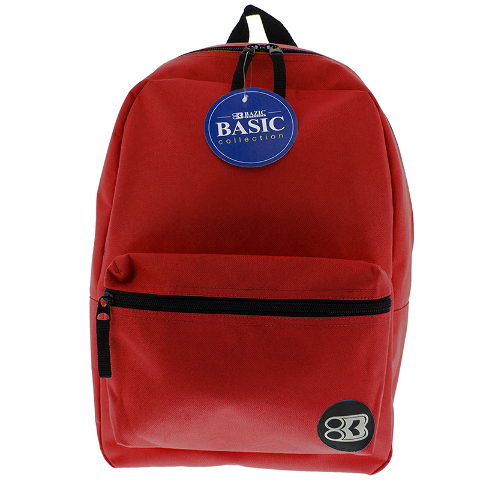 The 2 adjustable shoulder straps are nicely padded for comfort while carrying the backpack. There is a nylon handle on top of the backpack, convenient for hanging the backpack on hook outside of classrooms, or any hanger.